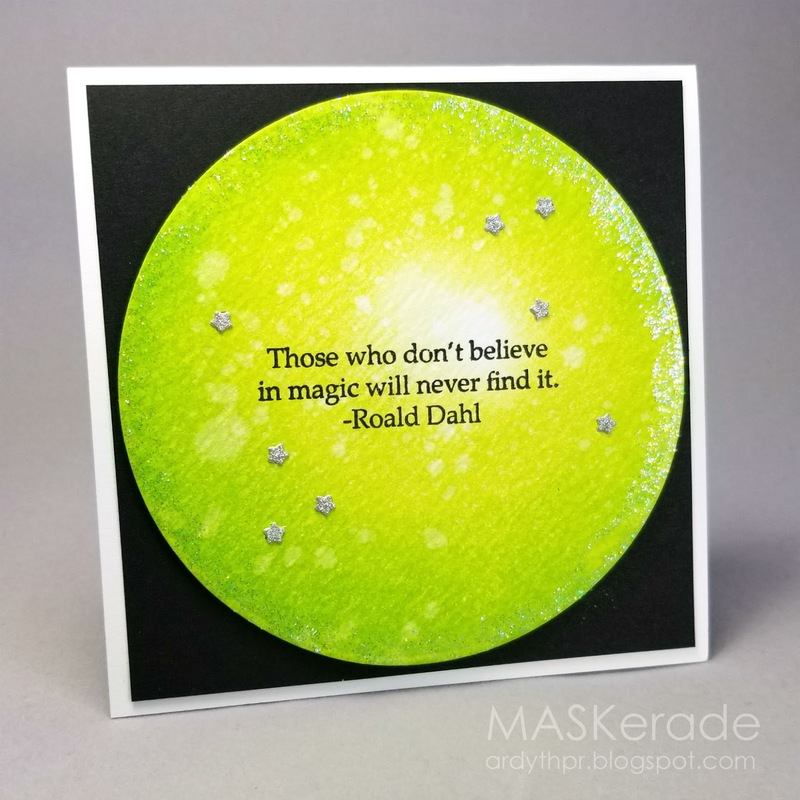 MASKerade: Catherine Pooler Designs - Hello, Tilly's Magic Garden! 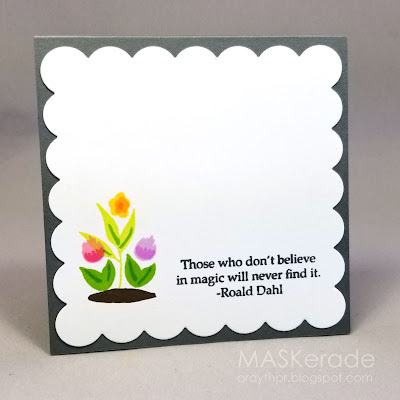 Catherine Pooler Designs - Hello, Tilly's Magic Garden! 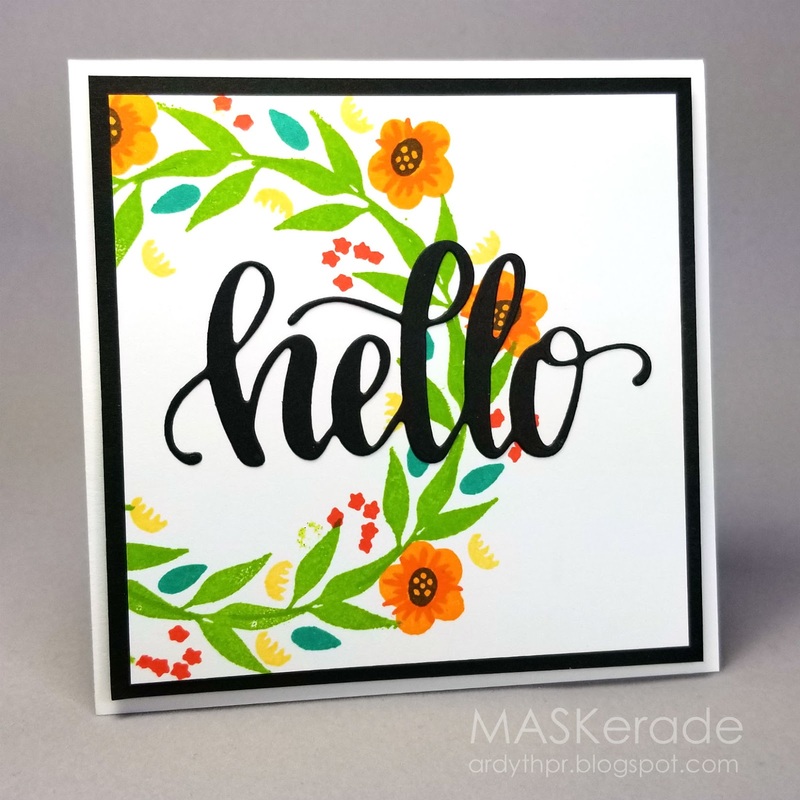 So excited by this new mini-release at Catherine Pooler Designs! 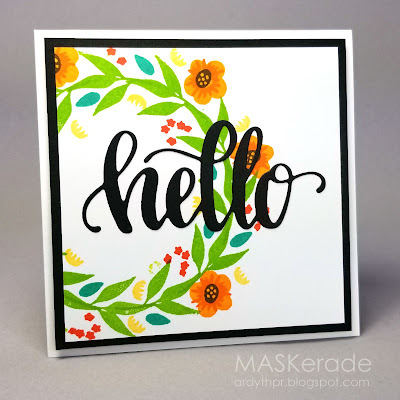 There's a fantastic floral-layering set called Tilly's Magic Garden and a new Hello die. Tilly's Magic Garden is full of different flowers and leaves and layering bits - you will have so much fun filling your garden. And check out that magic sentiment! So true! I created two simple cards, each letting the sentiment take centre stage. I think if magic has a colour, it's acid green (made up of Lime Rickey and Melon Ice, of course!). 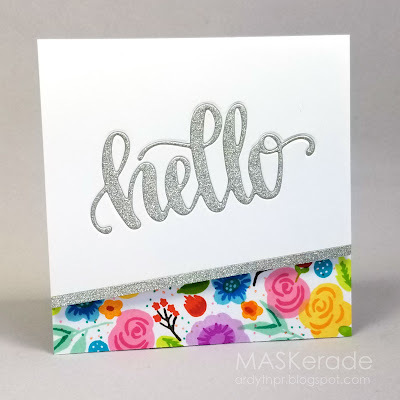 The Hello die is scripty and beautiful and the perfect size to be your focal point, or to be part of a bigger sentiment. Wonderful cards, Ardyth. The green inking just shines and is perfect to show off the sentiment. Ardyth...so many beautiful and incredible cards! I love those bright pretty flowers. Thank you so much for playing along with us at The Card Concept! Your cards are amazing, Ardyth. I love your designs and the beautiful colors. And thanks for the tip re the scalloped square.